The Shakespeare Performance Showcase will be performed Dec. 9-12. Creative Commons. The 14 students in Professor Amy Seham’s Shakespeare Performance class will be performing a showcase, a compilation of numerous Shakespeare works, for the Gustavus community in December. “Shakespeare’s Greatest Hits,” is what Seham is calling the upcoming Showcase. Each year, Seham teaches a theatre performance class centered on a specific topic. Last year’s topic was the “physical theatre project.” The purpose of the course is for students to concentrate on developing their acting skills in a particular technique. Because the production uses minimal set, props and costumes, it gives the actors an opportunity to perform and practice a specific technique without worrying about the labor that goes into the props, set and costumes needed for a full production. In addition to this, Seham says it’s a wonderful opportunity for the students to be working on their acting skills in addition to any other productions they may be a part of, because, as a class, it does not interfere with their extra-curricular activities. The students meet for a total of four hours of class each week, plus a weekly two hour workshop with their small groups. The Showcase is the final product of their semester’s worth of work in the Shakespeare genre. The production consists of a collection of different Shakespeare scenes, monologues and sonnets from various different plays, including MacBeth, A Midsummer Night’s Dream, Taming of the Shrew, and more. Throughout the show, there is a thread of different scenes from A Midsummer Night’s Dream that tie everything together, providing structure for the showcase. This combination of different Shakespeare works together in one production will keep the audience on their toes. The show transitions through funny, dramatic and tragic scenes smoothly and quickly, always keeping the audience’s attention. The Showcase is “a good show for people who aren’t sure about Shakespeare,” Seham said. The show is great for people who love Shakespeare but also a great chance for people who are a little hesitant about it to check it out. They get a little taste of everything Shakespeare, rather than just one continuous plot. The actors have also made many of the scenes into modern day interpretations, including telephone conversations in scenes that originally took place face to face, bringing the plot out of its original time period and putting it into a modern context. This helps the audience relate more to the plot. “We do a very good job of making sure that the meaning is clear to the audience,” Sophomore Communication Studies Major and performer in the showcase Lydia Benge Briggs said. According to Seham, the Showcase is a great opportunity for students to enhance their understanding of Shakespeare, the Shakespearean language and their acting skills in these areas. “It’s kind of a Shakespeare themed year with R&J (an adaptation of Shakespeare’s Romeo and Juliet), the Showcase and next semester’s production of Hamlet.” Seham said. 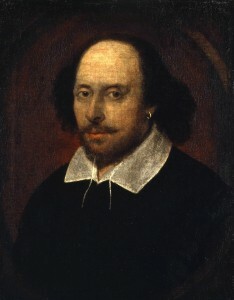 The idea is that by the time the theatre department gets to Hamlet, many of the actors will be experienced in the iambic pentameter and technique needed for performing Shakespeare, so Hamlet can be performed at an even higher level. The Showcase has been an incredible learning experience for the students in the class. “I came into the class with little prior knowledge of Shakespeare, so it’s been really great to delve into the texts and their meanings,” Benge Briggs said. The Shakespeare Performance Showcase will take place on Dec. 9 through 12, 2010. Tickets will be available at the SAO desk two weeks prior to the performance.